That really has nothing to do with today's post, except maybe to say when I hibernate, it's nice to have some magazines around to read. 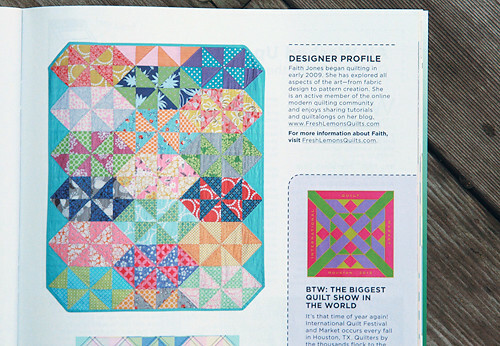 ;) And it's pretty cool that I have a quilt in the current Winter 2012 issue of Quilty! 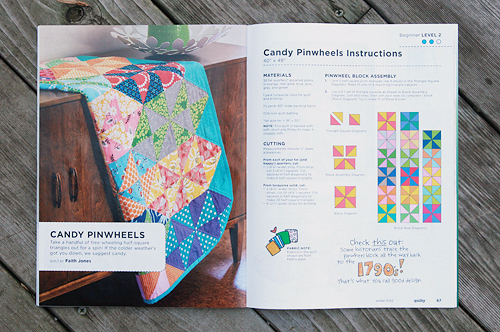 Do you remember my Candy Pinwheels quilt from last Spring? Well, you can imagine my excitement when none other than the SUPER nice Mary Fons emailed me and asked if they could include it with a full pattern in Quilty magazine. Um, let me think about that for about 2 seconds - YES! 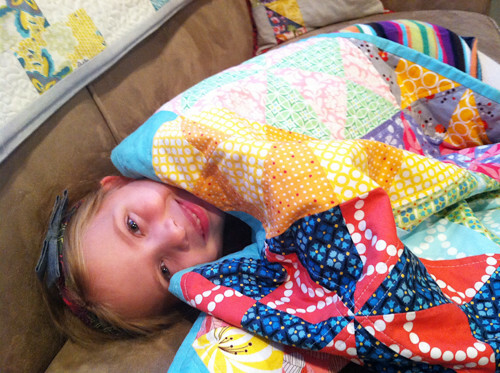 It did take a bit longer to negotiate with my little 5 year old who was the current owner of the quilt. It was made special for her and she slept with it every night. And those of you that have/had/know 5 year olds know that a special blanket is not something to be taken lightly. What can I say, she ended up getting a Hello Kitty sewing machine out of the deal. I'm not above a little bribery. She was thrilled when it came back in the mail though. You can find this magazine at stores now. I've seen it at Barnes and Noble and have friends that have even found it at their local grocery store (Kroger). 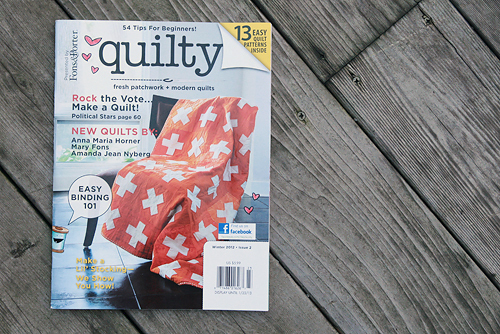 There's lots of great patterns inside, including some from Anna Maria Horner, Amanda Jean Nyberg (cover quilt!) and Mary Fons. I hope you will go check it out!